Both Lijiang and its local inhabitants, the Naxi people, have enjoyed tourism fame since Lijiang’s selection as a UNESCO World Cultural Heritage Site in 1997. But the village of Baisha, a part of this heritage, remains largely unknown to outsiders. Over the past 20 years Baisha’s villagers have sought to share in the tourism pie, seen most dramatically in the collective practice of “house-planting.” This term refers metaphorically to the Baishas’ gradual abandonment of traditional agriculture practices and “planting houses,” instead of crops, in their farmlands. The final surge in house-planting in Baisha resulted largely from the demonstration effects of 1) certain “middlemen” (including mainly tourism celebrities); 2) hot tourist areas, and 3) interventions by various institutions. All helped transmit, if unconsciously, fragmented or even erroneous information about tourists and the tourism market to Baisha villagers. That is, Baisha’s imaginings of the tourist gaze, and the prosperity of the tourism market, has been largely based on a faulty notion of tourism sold to them by middlemen, hot tourist areas and institutions. Thus, the practice of house-planting and its sociocultural consequences can be explained as the product of “center-periphery” interactions, both globally and locally, rather than pure community-based tourism created by the hosts as “active strategists” in the context of tourism. This presentation aims to explore the agency of indirect contact between host and guest, historically and culturally, thereby revealing some of the diversities and complexities found in “host-guest” encounters. Hongmei Zhao is associate professor of tourism management at Yunnan Normal University in Kunming, China. She received her PhD in Anthropology from Xiamen University. Her research interests focus on tourism culture, specifically the anthropology of tourism, cultural performances in tourism, ethnic tourism and ethnicity, and sociocultural changes in host areas. She has hosted a program of Tourism Culture and Ethnic Identification supported by National Social Scientific Fund of China from 2009 to 2013. 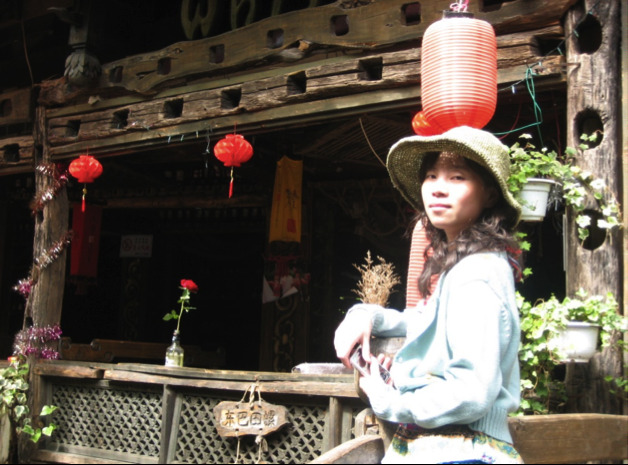 She translated a book titled Anthropology in the Age of Tourism Era by Nelson Graburn and over 20 essays mainly dealing with tourism and the Naxis in Lijiang. Hongmei Zhao is currently a visiting scholar at the Department Anthropology, UC Berkeley.